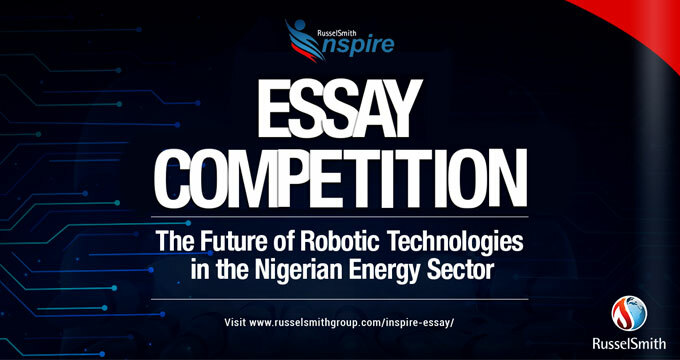 RusselSmith Group RS Inspire Essay Competition Application Guidelines for Nigerian Students in Tertiary Institutions. 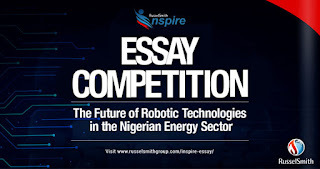 Essay Competition Topic: The Future of Robotic Technologies in The Nigerian Energy Sector. Essay Competition Requirements: Participants must be students of tertiary institutions (universities, polytechnics, etc.) in Nigeria. Essay Competition Criteria: Essays will be judged based on: clarity of expression, spelling and grammar, originality of thought, depth of analysis, relevance to industry, and conformity to contest rules. Winners will be announced on 7th September, 2018.